Vintage Clothing Blog | Vintage Wedding Dresses | Salvage Life: Back in Business! Salvage Life is back after a nice long relaxing vacation. Me and the fam went to Washington DC, New Jersey and Pennsylvania. We all had a great time. 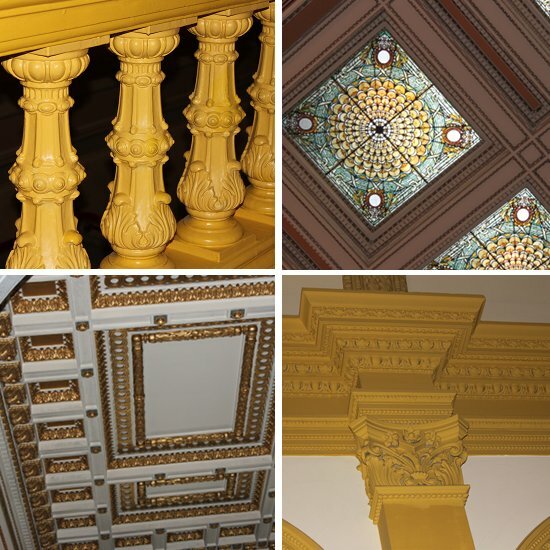 Here is a collage of architectural elements from some of the buildings in DC. I always find these more interesting than the actual exhibits. More pictures to follow and a lot of exciting things coming, including a Fall '09 photo shoot, a new website, loads of new merchandise and a live sale! Thanks for waiting while I rejuvenated and prepared for a strong fall season at Salvage Life! Looking forward to your new site and everything else. Missed you.